You already know what an Elevator Story is. If you're asked, "What do you want to do?" 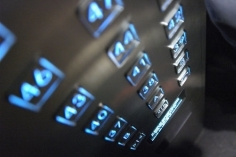 while in an elevator, you'll give an answer so compelling that the listener needs to hire you before your elevator reaches your floor (go for skyscrapers). It's verbal proof of your professional clarity and success. Piece of cake, right? Wrong. It's actually trickier than it sounds. Being clear and motivating people to help you simultaneously is no minor feat. Let's get a response you can "groove" in your brain, then vary depending on circumstances. With the four steps below, you can morph the typical monologue into a memorable conversation. The first sentence is an umbrella statement. "I have more than ____ years experience in ____." " that skips the number of years. Keep it simple and conversational. "What I particularly enjoy doing is (bullet), (bullet), and (bullet)." Think of three skills that your future will want and that you enjoy using. Tick them off on your fingers as you explain each in a bulleted statement. "What I particularly enjoy doing is getting teams that have never worked together before to surprise themselves with their own success. I also like to untangle customers' technical problems so their lives are easier. It's like solving jigsaw puzzles. Keeping in touch with customers over time is another big deal. It's where I get most of my satisfaction. Knowing that they're using our products, that they're working and helping to grow their business is a win-win for both sides. It moves a transaction into a relationship." You may want to introduce humor, an important element to keep people listening. Stay away from boring expressions such as "I like exceeding customer expectations." This is the part that is really going to sell you. "As a result I have been able to ____." How have you made your company more successful? Or the customer's? Listeners remember profitability more quickly than the rest of the story and can resell you to their colleagues on this alone. Take from the bottom line, literally. Remember, saving a company money is as important as making it. This is an important conversational strategy that yields a lot of new leads. "What companies should be ____?" Most people don't think to continue the elevator story by lobbing the ball back into the listener's court with a question. "Which nonprofits could be doing a better job of retaining and growing their donor base?" Note that you didn't ask for job openings. You did something much more difficult and much more effective: you did the thinking and defined the emerging need that would fit with your background, then asked a question they can't say no to. Good questions do not come easily. They take tweaking and refining until you receive answers that give you information that enables you to progress. You just added a penthouse to your classy elevator story. Enjoy the ride. Now create your own elevator story. Download this PDF: Creating Your Own Elevator Story.